When in the Philippines, do try out the colorful jeeps to discover what Metro Manila has to offer. Apart from the tricycle, the jeepney is a popular Pinoy way of going places. The JeepneyTours.com takes this novel Filipino form of transportation one notch higher to let you explore the city at your own pace. Guided tours to the old walled city of Manila (Intramuros), the historical Luneta Park, Fort Santiago and many more aboard an airconditioned jeepney is a better way to explore the rich and colorful heritage that the Philippines has. In this tropical country, an aircon jeep surely is a welcome respite from the heat. 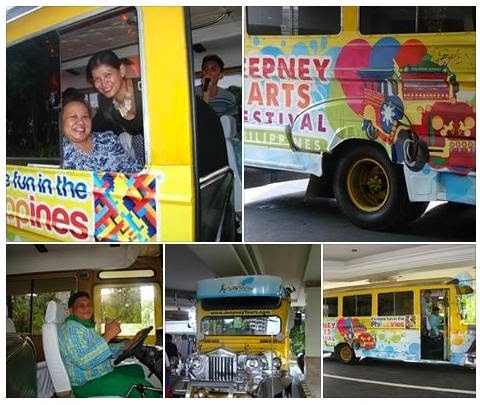 According to Ms Clang Garcia, JeepneyTours Managing Director, the guided tours can be customized to cater to client's whims. Aside from the airconditioning, the jeepneys have been modified to provide more leg room to local and foreigners alike as they go through every nook and cranny of Manila. No more hunching over just to get in. I was glad to join in a group of blogger last Friday. While enjoying the Manila spectacle onboard JeepneyTours, I dare say I enjoyed myself singing to its karaoke entertainment throughout the trip to and from Intramuros. Though much of Intramuros' grand old buildings were destroyed during the Battle of Manila in 1945, there are still remaining architectural treasures that depict the grandeur of Intramuros in its heyday. 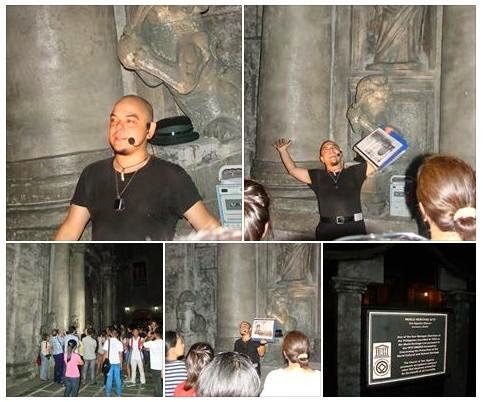 As our jeep turned to stop along the historical General Luna street in Intramuros, where a cultural night treat at Barbara's Heritage Restaurant awaits us we chance upon one of Carlos Celdran’s famous tours. I love the cultural performances at Barbara's Heritage Restaurant. It was like taking a trip back in time. 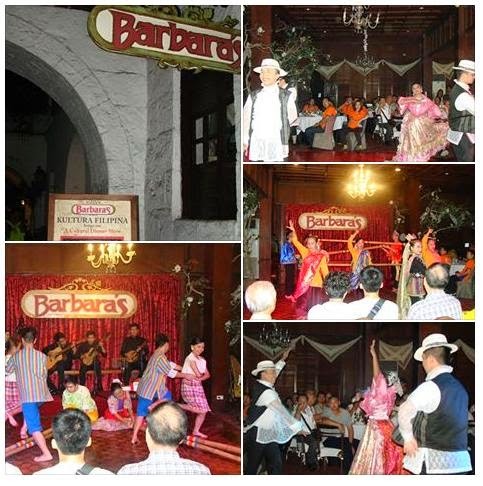 More of Barbara's Heritage Restaurant's performances depicting early Spanish culture heritage. Barbara's Heritage Restaurant's cultural show ended with the Tinikling. Tinikling is well-known traditional Philippine dance that imitates the movement of a common rail bird called a Tikling. Dancers imitate the Tikling bird's legendary grace and speed by running over grass stems, and skillfully maneuvering between large bamboo pole traps set by rice farmers. Overall, the jeepney tour was fun! You got to try it for yourself soon!